All of the Swiss mountain dogs, including the Entlebucher, descend from mastiff-type dogs brought by the Romans more than 2,000 years ago. 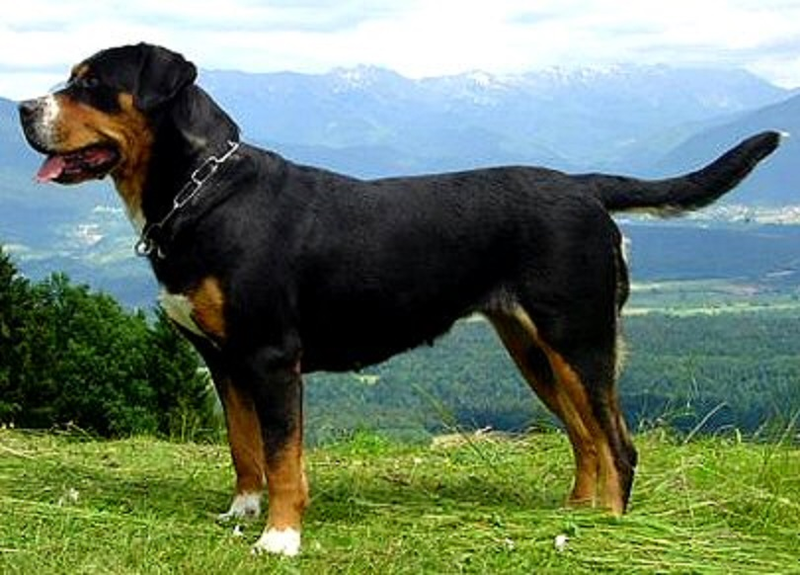 The dogs that became the Entlebucher was used to herd cattle to and from mountain pastures. The dogs were first called Entlebucherhund in 1889. They were little known and generally considered the same breed as the Appenzell Cattle dog until 1913. That year, four of the dogs were exhibited at a Swiss dog show. Based on the judges' reports, they were classified in the Swiss Canine Stud Book as a fourth Mountain and Cattle Dog breed. Even so, it wasn't until 1927 that a standard was written for them, after the founding of the Swiss Club of Entlebuch Cattle Dogs in 1926. The breed developed slowly but was eventually recognized for his lively, tireless nature and excellent qualities as both a working and family dog. The American Kennel Club recognized the Entlebucher in 2011.